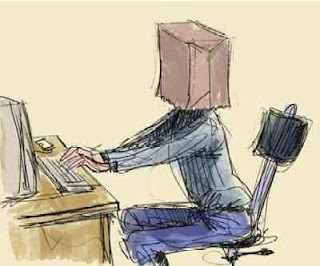 In the past I have read other people post about trying to decide whether or not to take their blog private or not. It has never really bothered me that my blog is public and can be read by any random person. That is part of the fun of having a blog. I have stumbled on other people's blogs and been uplifted or enlightened by their experiences or opinions. I hope in some way that happens when people read my blog too. However, I was looking over my stats and noticed that I'm getting 20+ pageviews from Russia each day... and I'm not even posting once a week. Well I have been freaked out about this for about a week now, weighing in my mind if it was a good reason to go private. To help me decide, I just did some research online and found that I'm definitely not alone in this and there were a lot of people saying it is a spambot that is trying find forums to spam the comments but Blogger is pretty good about filtering that stuff out. I'm feeling better about that. I was really starting to imagine some weird stuff, but I think it makes more sense that it is a spambot trying to use my comments to post a URL or advertise than that Russians are planning some big invasion of my backyard (which is basically where I take a lot of pictures). What are your thoughts? I could use some input because I really don't want to go private so maybe I was willing to accept anything that wasn't a creepy answer. Any real person from Russia, please comment with your side of the story. I say keep it open! You never know who's day you might brighten! And also, I love your new blog look! So cute. Ha. Sorry. I'm not Russian. But I agree with it not being as fun going private. Part of me is worried that I'd only get, like, 1 page view if I did that :) So I vote for keeping it public, but it's totally up to you. I'm sure there are creeper out there looking to cause trouble, and posting pictures of my kid makes me a little nervous, but I haven't had a reason to stop yet. I "googled" this Russian issue and your blog post came up. Thanks so much for helping out in this way. My stats have had quite a few Russian views as well. It was really creeping me out.